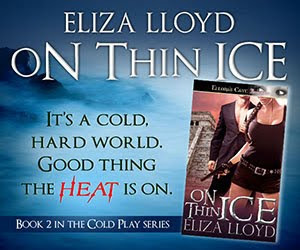 Eliza Lloyd: Release Day for From Now On, Book Two in the Mad Duchesses series. Release Day for From Now On, Book Two in the Mad Duchesses series. Great news. The second in the Mad Duchesses series will be available on January 29th from Ellora's Cave. I love this story - I know I say that about every story I write! Well, this is one of the best and most used plot lines - lost love. This story plot is number 35 on Georges Polti's 36 Dramatic Situations list - recovery of a lost one. I don't claim to write original plot lines, I just put my own twist on the story. I love this list. It's a great resource when identifying the single thread of a story. Sebastian and Grace were once close friends - he the second son of an earl and she the ton beauty, betrothed to the Duke of Hammond. Young Sebastian enjoyed his life too much to worry about marriage while Grace loved him deeply. When she was gone, when he realized there wasn't another woman such as Grace, he understood the depth of his mistake. And then the shocking news - the scandal of the last Season in London - Grace had been horribly scarred by her drunken husband, and then in the space of a week she was left a widow. He was not going to waste another opportunity. From now on, he would be the man she needed.